Roots & Echoes is their fourth full-length studio album. It was originally released on 6 August 2007, and debuted in the UK Albums Chart at No. 8. The album spawned three hit singles; “Who’s Gonna Find Me”, “Jacqueline” and “Put the Sun Back”. 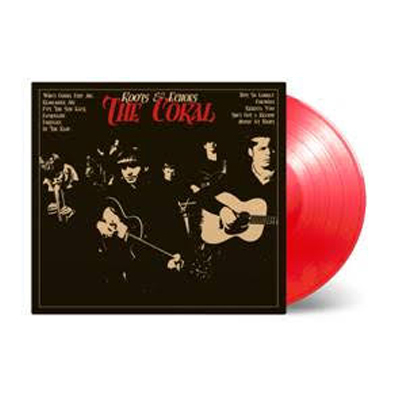 This is The Coral’s last album with Bill Ryder-Jones, who departed in 2008 to start a very successful solo-career. 2017 marks the 10th anniversary of Roots & Echoes. The first (limited) run of this anniversary edition is pressed on 180 gram transparent red vinyl.